Suggested Fabrics: Twill, denim, gabardine, chino, cotton, cotton types, corduroy, linen. 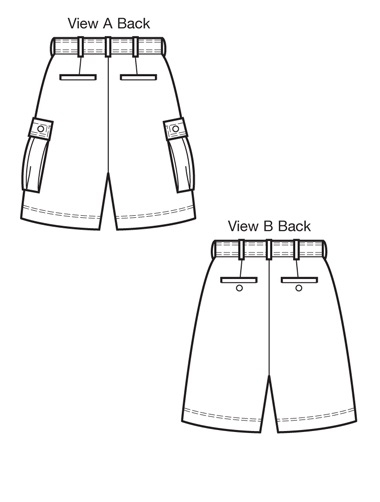 Flat-front shorts have front side pockets, fly zipper, waistband with belt loops and hook and eye or button closure, back welt pockets with optional button closure, and topstitching detail. 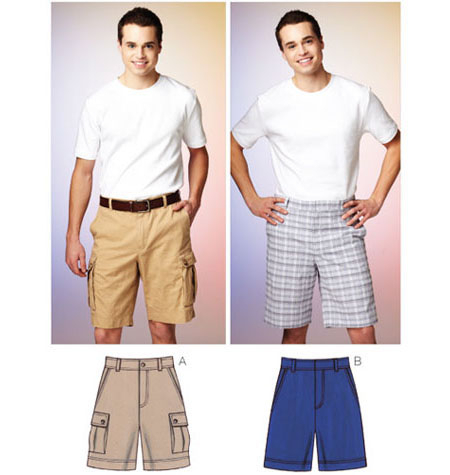 View A shorts have pleated cargo pockets with buttoned flaps at sides.